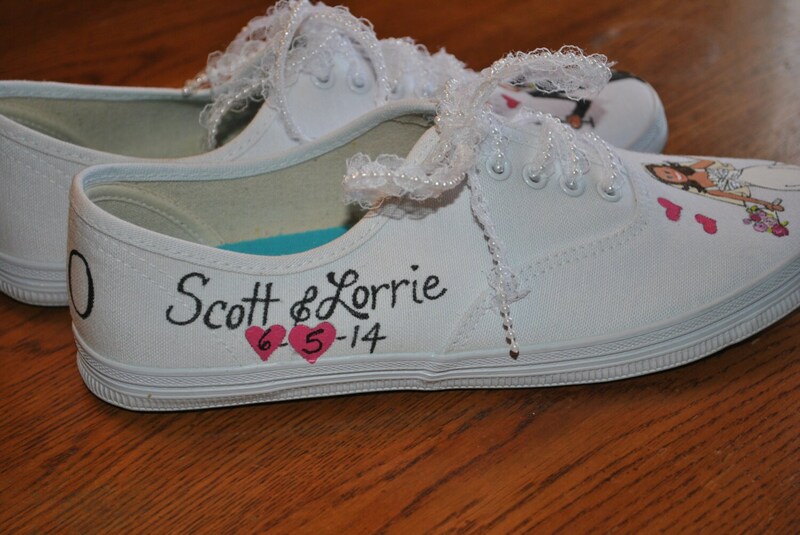 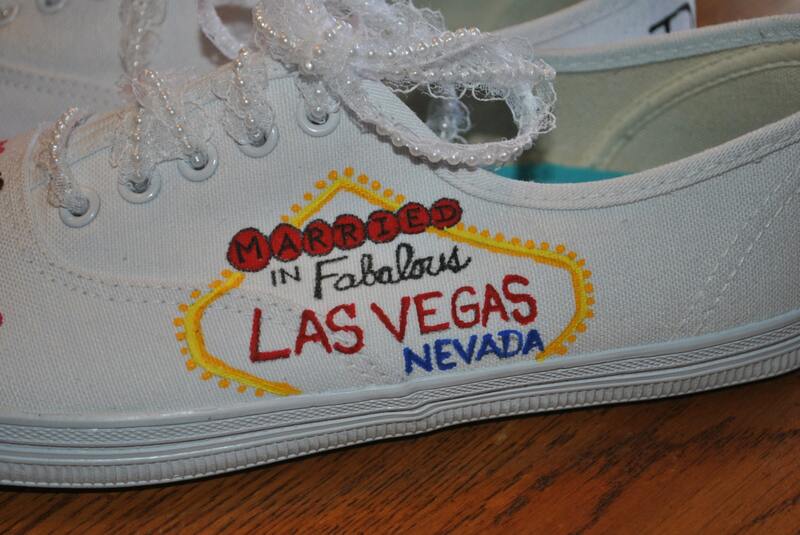 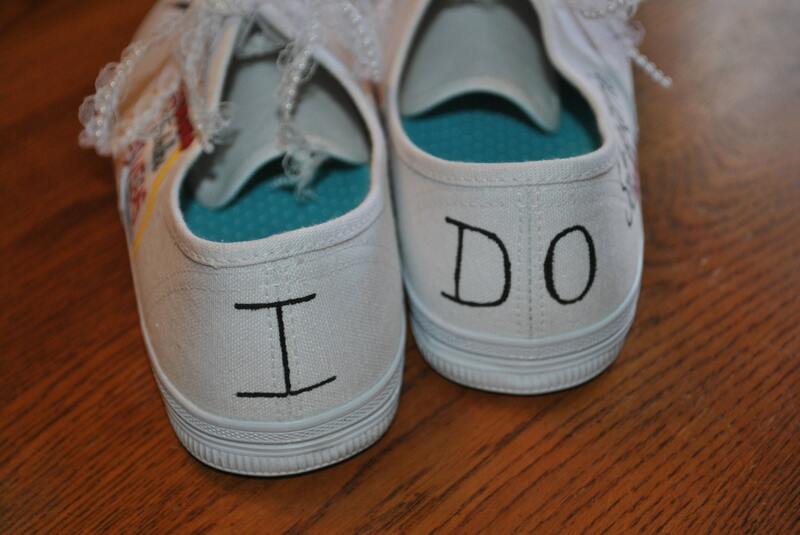 Customized wedding sneakers from a picture of her dress, colors of flowers, and Married in Vegas. 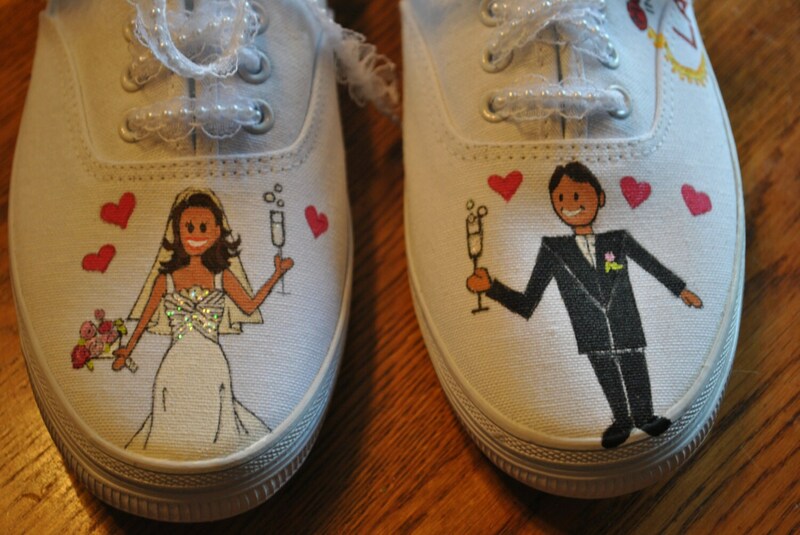 All the Best to You .... Wishing you every Happiness. 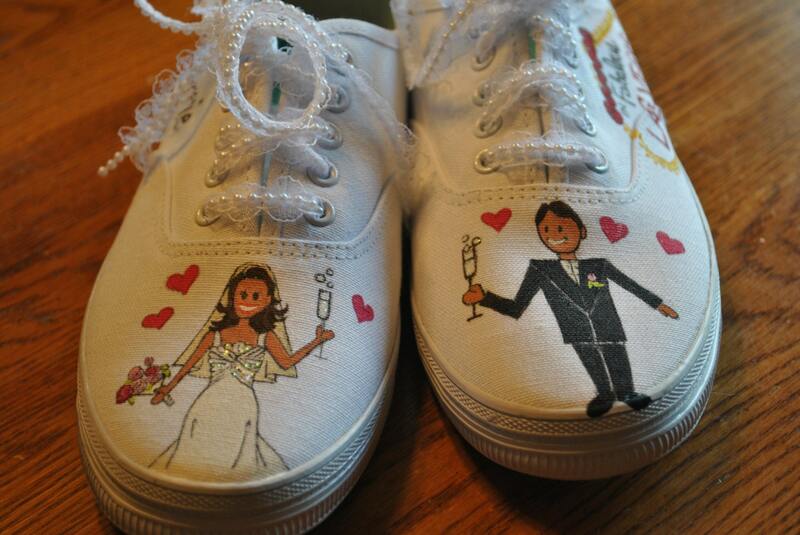 If you would like a customized pair of wedding shoes just email me and we can get to work.